For more than thirty years, Arlyn Scales has been considered one of the top weighing industry leaders when it comes to ushering in new design ideas and construction for custom scale applications. Helping clients find solutions to all of their weighing needs has been our concern and this has inspired us to create and build highly specialized equipment to handle every possible solution. From the simplest to the most complex, our sensitively crafted weighing systems incorporate extremely evolved instrumentation technology. As experts in the field, we continue to evolve our products, which have put our cutting edge company at the top of the list when it comes to easily managed, safe, finely tuned, and accurate scales across the board. Our fuel tank monitoring systems are a perfect example of highly attuned knowledge and attention to detail when it comes to safety mechanisms in the weighing industry. Maintaining safe storage and transport is critical when it comes to dealing with gasses that have been converted to liquid form. We fully understand that monitoring these liquefied gas levels with exactitude and an eye for complete safety is critical to creating a safe environment for potentially explosive situations. We always prefer to err on the side of caution, and in this case our precaution for safety is one of the reasons why our customers prefer our products. As everyone knows, working in an industrial environment requires enormous sensitivity, and we know just how dangerous chemicals can be when the wrong kind of equipment is involved. 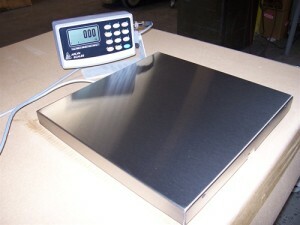 Maintaining the highest industry standards is one of the key elements in the construction of weighing and monitoring systems. Our explosion-proof products ensure that no excess energy is created that can cause a spark or a flame. Using extreme safety measures, our carefully constructed machines and devices are designed to create infallible weighing solutions for flammable chemicals, such as those used with paint or oil-based liquids. One of the areas where we, at Arlyn Scales, excel is in our adherence to safety guidelines in all cases. Because our equipment does not react to hazardous substances, it is able to function with extreme accuracy. With excellent housing that protects against any potential spills, our specialized construction allows for confident handling. We consider the monitoring of liquefied gasses a science. When substances such as nitrogen or carbon dioxide are converted to liquid form for cryogenic purposes, they are in an extremely delicate state. These elements are often used in various chemical applications, such as those found in fertilizers, plastics, and rubber, along with fire extinguisher systems, soft drink carbonation, and more. Accurately monitoring the amount of liquefied gas in a tank requires a specific type of sensor that takes into consideration pressure, temperature, and other essential factors that influence the equipment’s ability to calibrate properly. Using rugged cylinder scales that are ideally constructed to weigh liquefied gasses, our fuel tank monitoring equipment is able to assess the amount of gas left in the tank. Poorly constructed pressure sensors cannot properly decipher and disseminate liquid gas amounts because pressure alone is not enough to determine the amount of gas left in a container. This is because as a liquid, gas vaporizes and its pressure will decrease. Our cylinder tanks are constructed specifically to provide accurate and sensitive monitoring results. Our quality gas cylinder scales are designed to withstand high forces and damage as they are loaded and unloaded due to the special load cells we incorporate in their design. Explosion proof, their durable and intelligent construction allows for maximum results. Built to withstand years of use, they can handle a wide range of weights and include overload protection so that they are never strained to capacity. Our heavy duty stainless steel casing and load cells offer superior overload protection, while also protecting against rust formation. With overall stainless steel protection for environments requiring chemical resistance, our products are made with safety in mind. Some of the other attributes of our explosion proof scales include an optional set-point controller that sounds an alarm when fuel levels are too low. Because our cylinder scales are designed to be user friendly, they are made with an expansive surface area that is close enough to the ground to provide easy loading. We provide our customers with a variety of platform sizes that include bench scales up to 150 pounds, platform scales up to 1,000 pounds, and floor scales up to 20,000 pounds. Always on top of current technology, Arlyn Scales is constantly looking for ways to create greater ease of use for our customers. Our industrial scales and monitoring systems include digital indicators to provide exact readings for detecting liquefied gas levels. With graphic LCD displays, these indicators are swivel mounted and include pushbuttons, automatic and keypad function, advanced memory systems, and the ability to convert multiple units as needed. There are no moving parts to break or malfunction, and all have stainless steel load cells. Mounted on a stainless steel platform with aluminum housing, our equipment is built for maximum durability and longevity. We want to help you get the result you are looking for, and we achieve this by providing equipment that is brilliantly created using the best technology in the marketplace today. Accurate and easy to install and operate, every one of our products is an excellent tool for safety. For more information on our fuel tank monitoring systems and other highly calibrated equipment, please contact us by mail or by calling 800.645.4301.